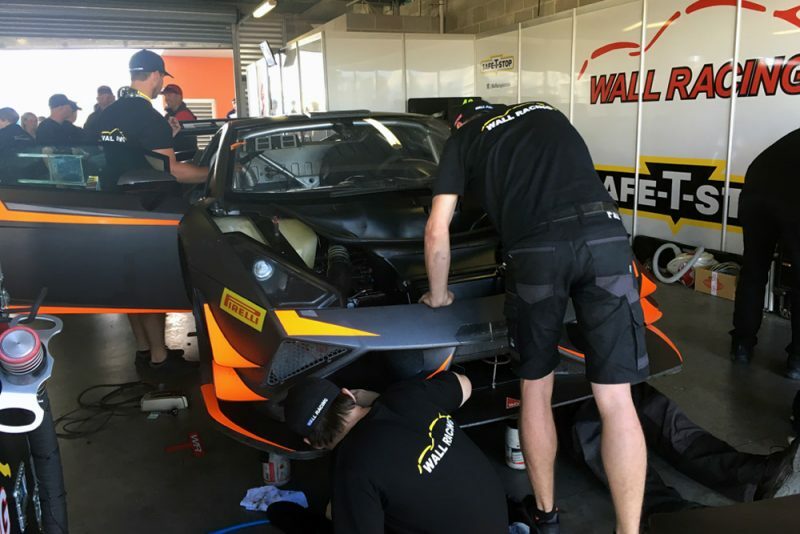 A mechanical issue has seen the Am Class Safe-T-Stop Lamborghini team switch to a Lamborghini R-EX ahead of tomorrow’s Liqui-Moly Bathurst 12 Hour. Prepared by Wall Racing, the team began the weekend in a Lamborghini Gallardo LP560, however engine issues have made that car a scratching. In response, the team has acquired a newer-spec Lamborghini R-EX and will start the race from the rear of the grid. “A couple of decisions were thrown around and we were not sure which way to go and instead of going home with a broken car we are going to have a shot with the new car,” Wall Racing team manager David Fyfe told Speedcafe.com. “The car was in Justin’s (McMillan) truck and it last raced at Highlands and I think they had a quite a good round there. He was trying to move it on, not that we were looking for a car, but this situation has come up. “It is as raced so there is very little preparation need to get it underway. As a result of the car change, and given the team did not set a time in qualifying, the team will start from pit lane for tomorrow race, which gets underway at 0545 AEDT. View Speedcafe.com’s comprehensive Liqui-Moly Bathurst 12 Hour Form Guide, presented by our platinum partner Mercedes-Benz.